Park at Norm Chapman oval in Dunkley street just off the New England highway, on the right shortly after the Rutherford shopping centre if coming from Newcastle. Walk through the playground and turn left up Fairfax street. Stay on this until you get to Christine close, turn right and walk up the hill where you’ll see a pathway on your left. At the end of the path, cross the street and walk up Robert close. You’ll see another pathway on your left, go down here and you’re now on Adam Ave. Turn right and walk up the fairly steep hill until you get to Joshua close on your right. Walk up here after you have had a look at the view, and at the end there will be a pathway taking you through to the bushland. This is a fantastic natural habitat providing much needed green space in amongst a fairly densely populated area. 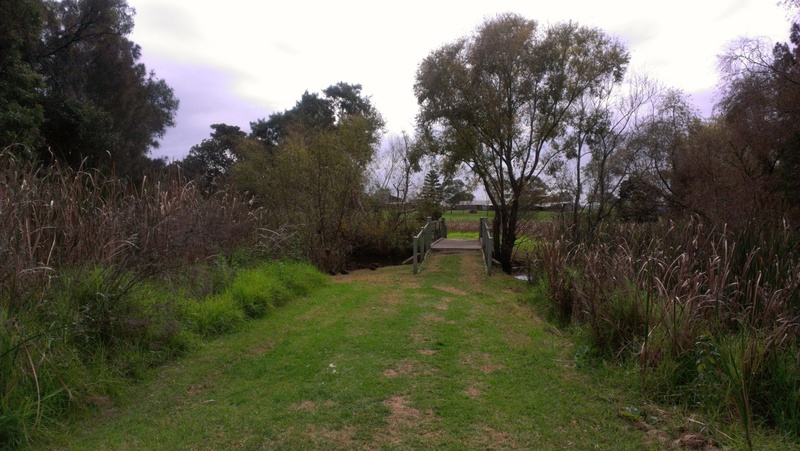 The pathway is colloquially called “Hannah’s walk”, named after a young girl who, together with her grandmother, is passionate about preserving this bushland which has (unfortunately) been zoned for development. See article in the Maitland Mercury about their efforts. The pathway will take you through to Denton Park drive. Turn right and walk along this relatively busy road for 750m until you get to the Sanctuary reserve where you’ll see a pathway on your right. This takes you through to Honeyoak drive. Continue uphill and along until you get to Nardoo avenue on your right. Follow this as it curves around and then look for a pathway on your right which will take you through to Weblands street. Turn left and now you just follow this, past the Maitland Baptist Church facilities and once you get to Rutherford public school, Dunkley street will be across the road on your right. Go down here and it will take you back to where you parked your car. Suitability: A fitness walk exploring both the newer and the more established parts of this relatively young suburb. Mostly on pavements or tarmac so fine for wheels, albeit a bit hilly. This route follows a number of narrow pathways up the hill and then curved roads back down so it feels a bit like being in a game of snakes and ladders! Park in Austral close just off Magnetic Drive, which is in a brand new subdivision of Ashtonfield. Start by walking down Magnetic drive, either on the road or on the gravel path that goes alongside it and the reserve on the right hand side. Follow the path around the pond and further along until you run out of path. Cross over the road and you’ll see a pathway between the houses (just after Ashmore close if you’re walking on the road). Walk up here and you’ll be on Pacific crescent. Cross over, look right and you’ll see another pathway going up between the houses. Go up here and you’re now on Samoa close. Turn left and walk down to Turtle avenue, keep right and again you will see a narrow footpath on your right! Walk up here, cross over South Sea drive and continue on the path on the other side. This ends up in Midway close, turn left and then right onto Adele crescent. The entry to the reserve is clearly marked, continue on the path around the reserve in an anti-clockwise direction. The path will take you up past Ashtonfield primary school, turn right and walk down Norfolk street. 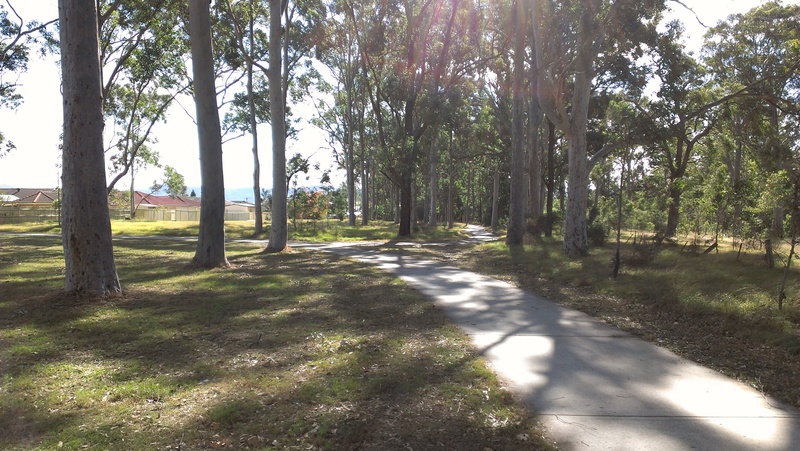 Follow this ¾ of the way around the Hunter Valley Grammar school which will take you back up to South Sea drive. Continue along until you see Airlie street on your right. Walk down and as the road curves around at the bottom of the hill you’ll see Magnetic drive again on your right. Walk down here and you’ll shortly be back where you started. Suitability: An interesting walk around the historic settlement of Largs which has an eclectic mix of buildings; from very old through to new and modern housing. 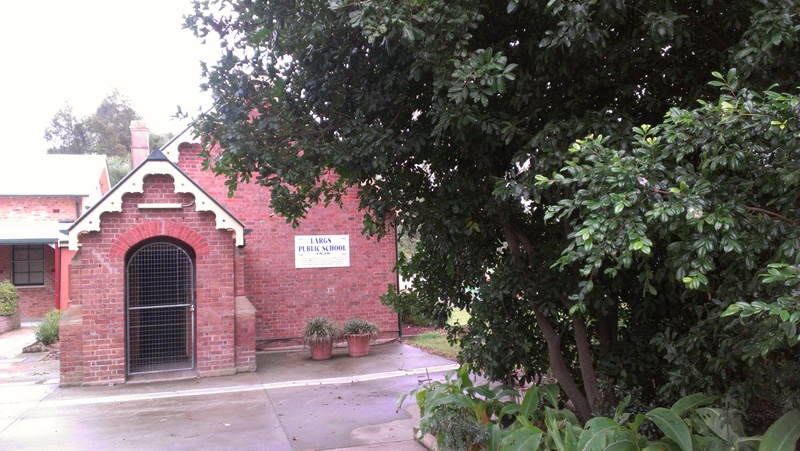 Largs was settled in the early 19th century and boasts the oldest public school in New South Wales. Wheels may struggle through the numerous reserves. Park at Ernie Jurd oval at Largs Park, just off Largs avenue. Exit the parking lot onto Largs avenue and turn right. Walk up to Credela street, turn right and then right again onto Parklands road at the bottom of the hill. This ends in a cul-de-sac but you’ll find a paved pathway that will lead you through to High street. Cross over and walk down Morpeth street until you get to Largs public school. This was established in 1838 and is the oldest public school in the state. Turn right down Hunter street and right again on Church street. Walk past the Guides hall and the Church of the Holy Family and continue until you get back to High street. Turn left at High street and walk down to Dalveen road, you’ll pass another historic school on your right; the School of Arts from 1878. Turn right and walk along Dalveen road, past a modern house built on stilts and further along with farmland on one side and well-established housing on the other side. At the bottom of a small hill, just before the road splits in two, there is a reserve on your right. Walk through here and you will now be in Stanley close. Turn right and walk down to April circuit. Turn right, then left down Betula avenue and then immediately left again up Alyce close. You will shortly see a reserve on your right, walk through here and you will get through to Robina close, cross over and walk through another reserve onto a pathway which will take you through to Ribbonwood close. Cross over and you will see another pathway that will take you through to Largs Avenue. Turn left and walk back to where you parked your car. Suitability: Lovely walk around the historic village of Morpeth and you may well run over the time estimate as it is easy to get side-tracked by all the interesting and quirky shops and cafés. Ok to do with wheels but you’ll have to not do the two loops around the reserves and just stay on the road. 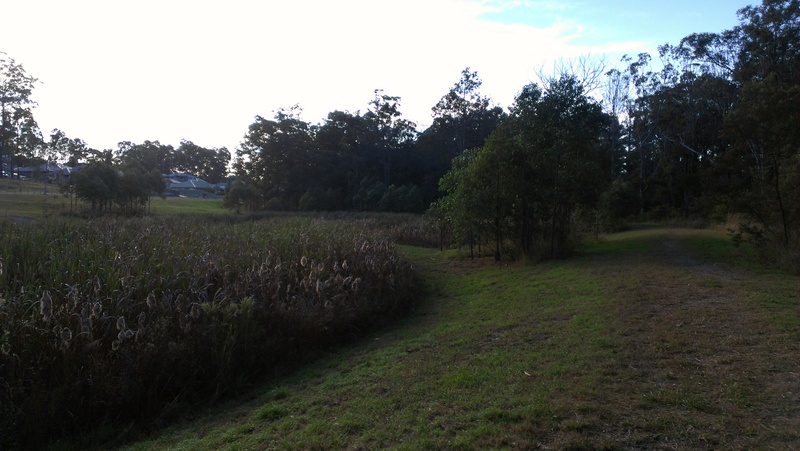 Park by the Queens Wharf jetty and picnic area, which is on the left hand side by the entrance to Morpeth if coming from East Maitland. Start walking along the river and do a short loop around the reserve before heading up the hill on the road you drove in. Cross the road and turn left down Swan street. Turn right on Berkely street and walk up to High street. Turn left and walk along High street which has a number of buildings steeped in history. European settlement in Morpeth dates from the early 1800s and in the 19th century it was one of the busiest river ports in NSW. When you get to George street turn right and walk up to Little James street which is at the end of town and you’ll see farmland beyond. Turn left and walk down to the t-section where you see a house with an impressive collection of garden ornaments. Turn right and follow John street around and walk across Edward street into the Ray Lawler and Morpeth Common wildfowl reserve. There is no real path visible here but walk in amongst the trees and soon you’ll see a little bridge over the duck pond on your left (see photo below). Cross over and now you’ll be on a path that loops around and back up on Edward street. Head down to Swan street and turn left and you’re now back on the main street of Morpeth. There are also a number of historical buildings along Swan street and you can pick up a brochure with further information from Maitland Visitor information. Notably you’ll walk past the two hotels currently open in Morpeth, whereas in 1867 there were 11 hotels thriving in the town! 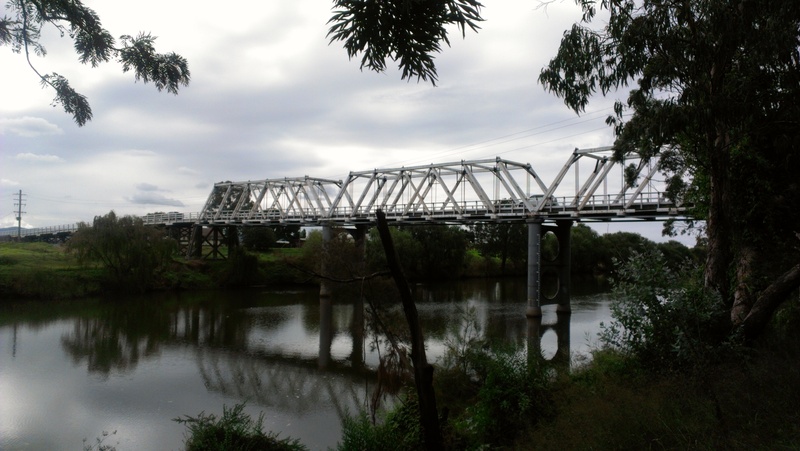 You’ll also see the heritage listed timber truss bridge about halfway along (see photo above). Stay on Swan street all the way back to the Queens Wharf road which will take you back to where you parked your car. Spent the week-end in Coffs harbour on the Mid-North coast of New South Wales and tried out a couple of lovely short walks. Highly recommended as a break if you’re on your way further North or as something to do while you’re in the area. 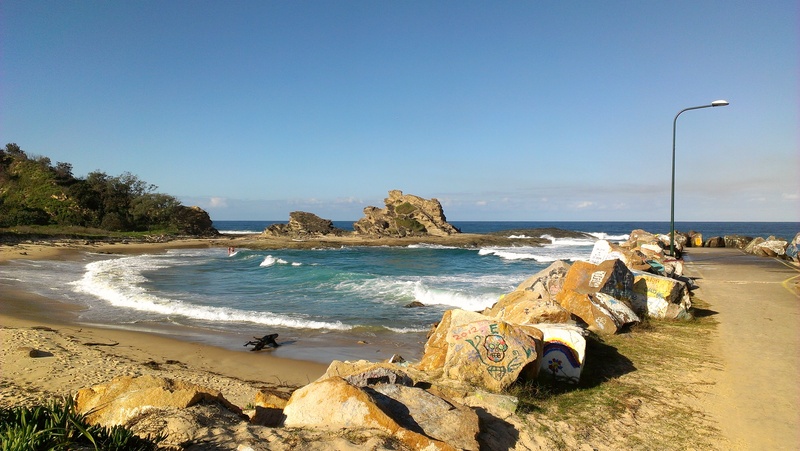 The Nyambaga walking trail is a recently constructed interpretative walk on the headland of Nambucca heads. It starts from Shelley Beach and goes through the bush to the break-wall by Wellington beach. The break-wall has concrete blocks that have been painted with names and messages by visitors from all over the world and makes for interesting reading! If you walk along the break-wall to the entrance to the caravan park and back and the marked trail it will be about 2.5 km. 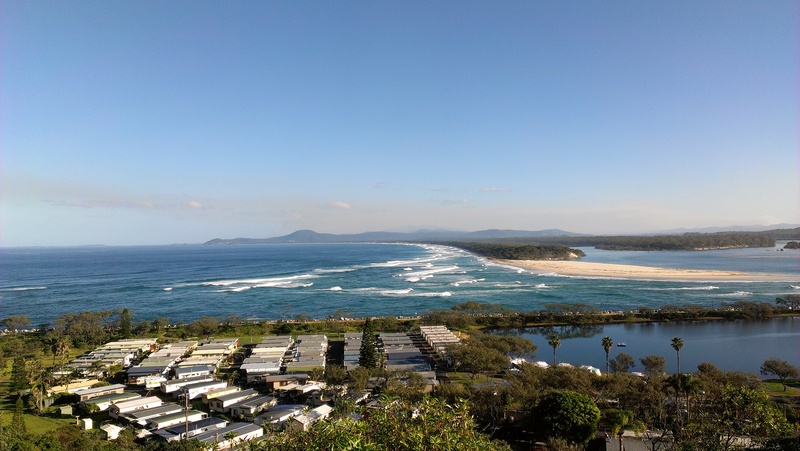 The Captain Cook lookout point is also well worth a visit with fantastic views across the headland and a great place to have a picnic lunch. 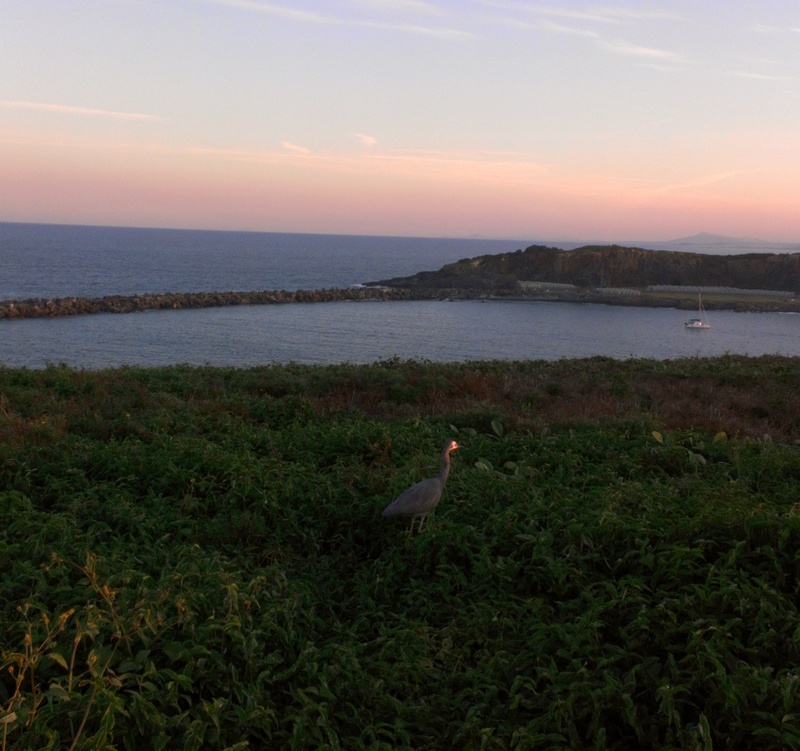 In Coffs harbour itself there is a lovely walk out onto the Muttonbird Island nature reserve. Drive down to the harbour, park at the Yacht club and follow the road to the Fisherman’s Co-op and then walk up the steps to the break-wall. Continue along the marina where both the commercial fishing fleet and pleasure boats are moored. Muttonbird Island is a nature reserve at the end of the break-wall and has a paved path and interpretive signs. It is a fairly steep climb but you’re rewarded with spectacular views and teeming bird life. A return walk is about 3km.